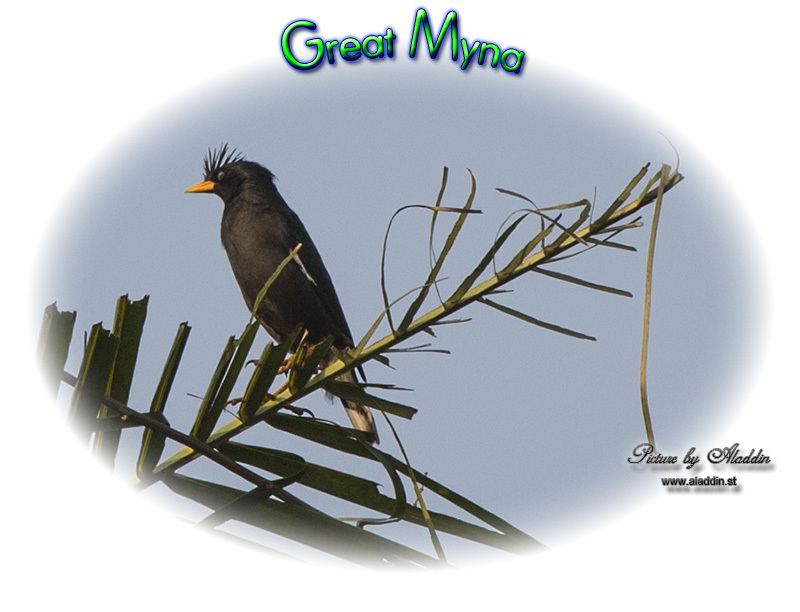 The Great Myna (Acridotheres grandis) - also known as Crested Myna, White-vented Myna, Orange-billed Jungle Myna, Thai Crested Myna or Tufted Myna - are Asian starlings. 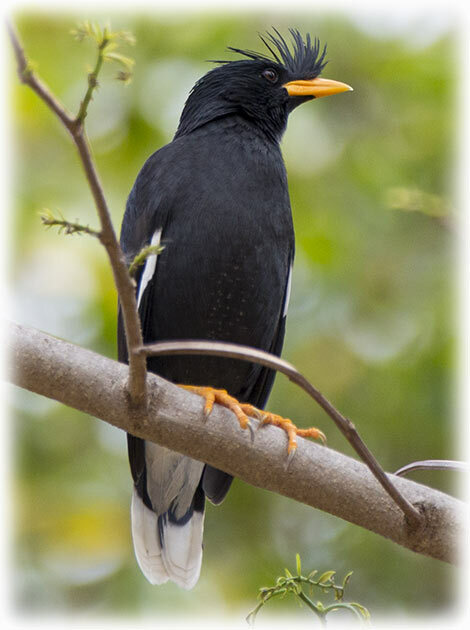 White-vented Mynas occur naturally in North-east India (southern Assam, Nagaland and Manipur) and southeastern Bangladesh east to Myanmar and southern China (western and southern Yunnan, as well as southwestern Guangxi), south to northern peninsular Thailand and Indochina. 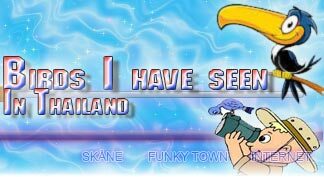 They are usually seen in pairs or small groups. 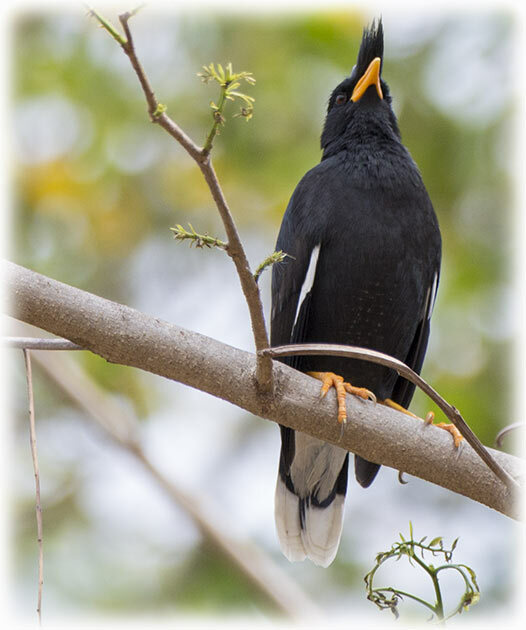 White-vented Mynas measure about 26cm in length - including the tail. 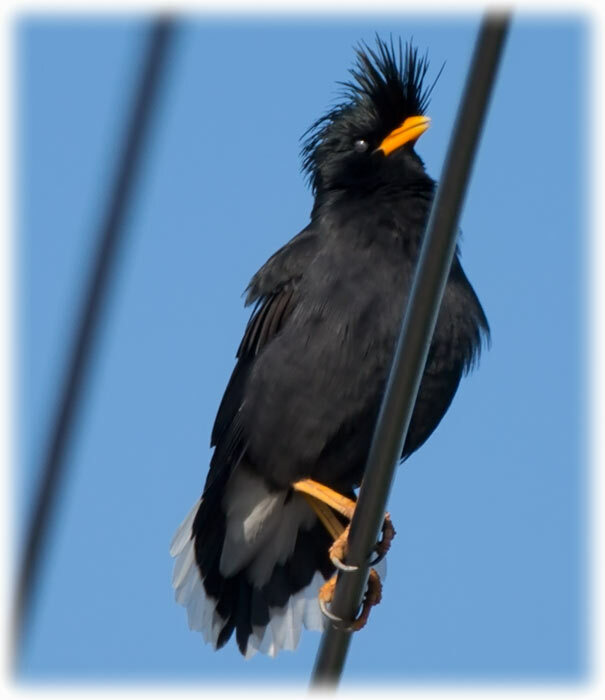 The plumage is black. 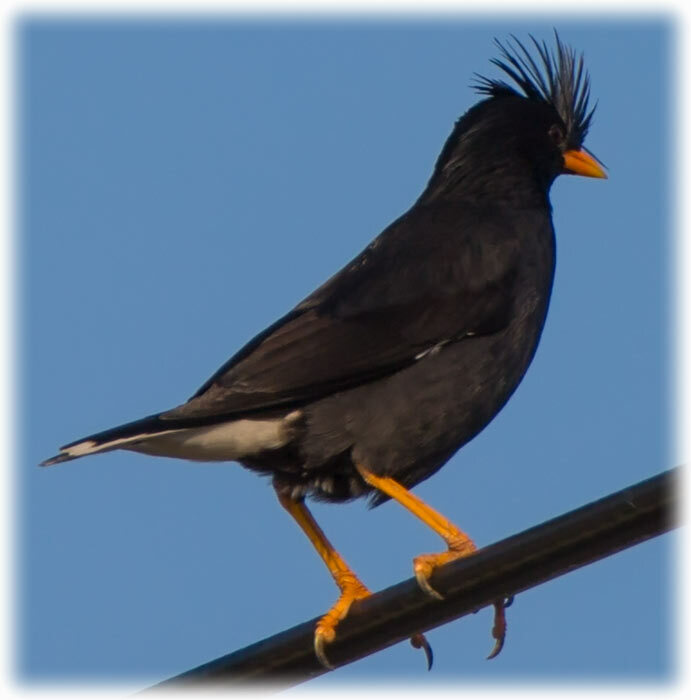 They have tall wispy crests that measure about 30mm over the bill in males and 20mm in females. The eyes are amber brown and the bill and legs are bright yellow. Feed on insects and other small invertebrates. 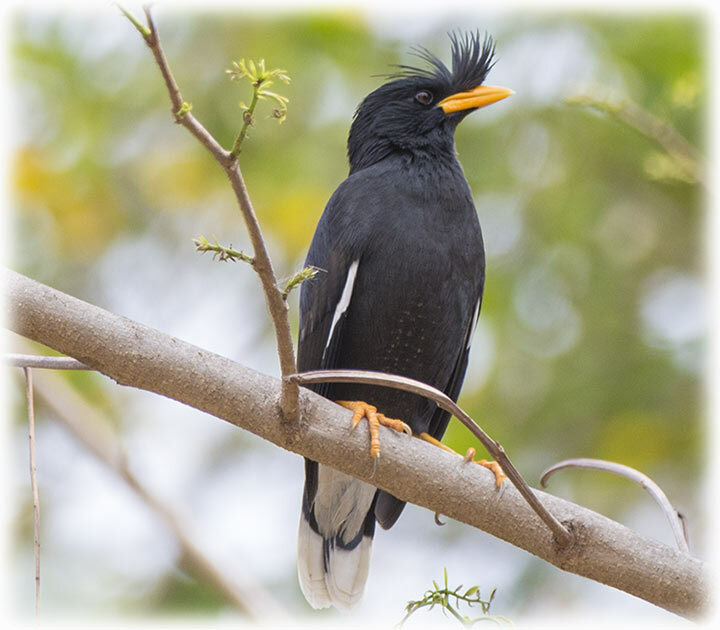 These cavity nesters will usually make their nests in the cavity of trees, but also readily take advantage of holes and crevices in rocks or urban structures, including walls. 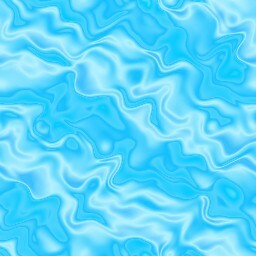 Calls are described as garrulous notes and whistles. IUCN Red List of Threatened Species. 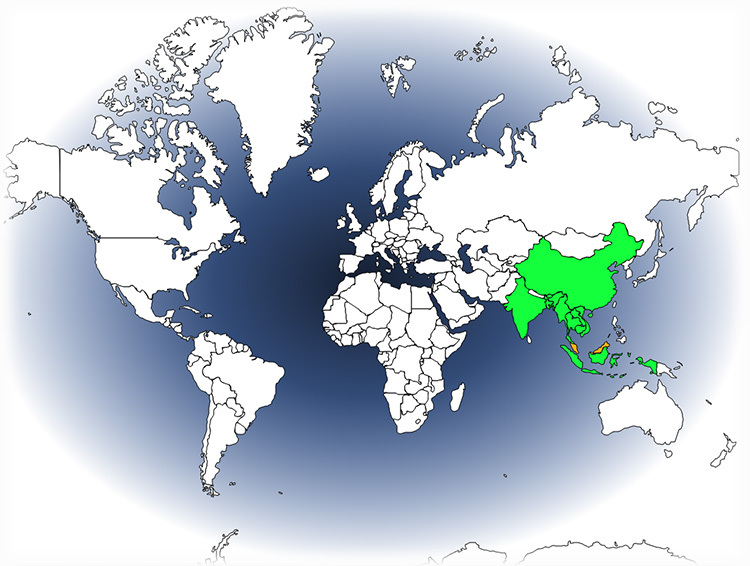 Version 2013.2. International Union for Conservation of Nature.